In a cash-strapped state that receives millions of dollars in revenue from land-based casinos every year, the idea of legalizing online poker is starting to take hold. 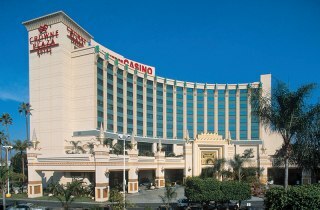 Several Indian Tribes along with the Commerce Casino have made their pitch for the state to legalize and regulate online poker for California residents –an estimated 1,000,000 of which play online poker. The main determinate in the end will likely be money: Online poker could increase the state coffers by millions, in addition to $361 million in kickbacks that have been promised in the proposal by the Morongo Indian Tribe and Commerce Casino. On the other side of the coin, the opponents of the legislation are numerous other Indian tribes who feel legalized online poker would hurt their land-based card-rooms –Indian tribes currently have carte blanche to operate casinos in California. The legislation would restrict online poker to California residents only, but would likely open up the flood gates for other states to begin the process of legalizing the industry: Apparently if it can’t get done on the federal level states will wind up taking the matter into their own hands. This entry was posted on Monday, December 14th, 2009 at 9:36 am and is filed under Poker News. You can follow any responses to this entry through the RSS 2.0 feed. You can leave a response, or trackback from your own site.